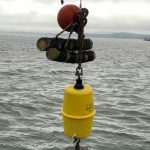 Mine Berg and Sara Driscoll publish on Ammonium in San Francisco Bay Phytoplankton Communities - Applied Marine Sciences, Inc. The northern part of San Francisco Bay is home to the endangered Delta Smelt and intersects the migratory routes of many pelagic fish species including salmon. Unfortunately, this region poses a number of stressors for the organisms that live there including changes in water flows and hydrology, water temperature, turbidity and contaminants resulting from agriculture and urbanization. These stressors are thought to act on all trophic levels, starting with the primary producers including phytoplankton. 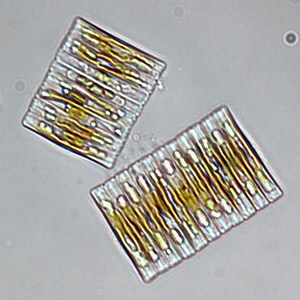 One of the stressor hypothesized to act on phytoplankton is ammonium discharged in wastewater effluent. Depending on the pH of the water, a fraction of the ammonium is converted to ammonia, which is highly toxic to organisms. 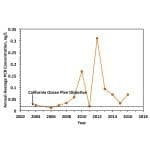 In this study, scientists from AMS and UC Santa Cruz isolated six species of estuarine and freshwater phytoplankton from the northern portion of San Francisco Bay and performed dose-response experiments to determine their ammonium and ammonia tolerance levels. 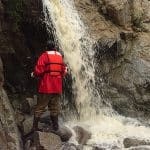 These data, recently published in the Journal of Phycology, will help guide regulators and other interested parties in the levels of ammonium that are harmful to phytoplankton growth in the northern part of San Francisco and in the Sacramento River.